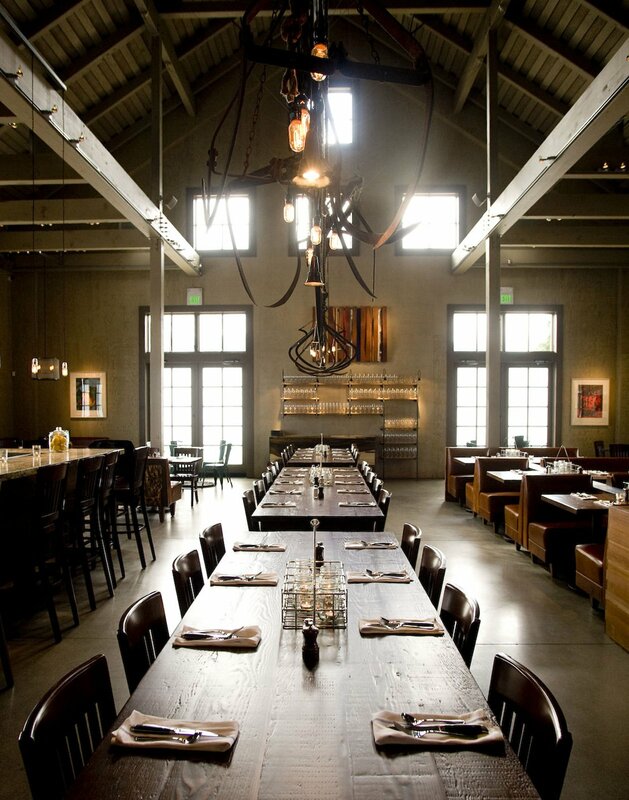 The location for the new restaurant, which opened in February 2010, was a barn on the ranch that had been used as a plant nursery. "It wasn't an incredibly old barn," Johanson says. "It was built around the 1970s, but it was built with a very agricultural look." To stay true to its form, Johanson and her colleagues Mark Wilson, Catharine Tarver, and Bridie McSweeney decided to leave as much of the structure intact as possible, playing up the post-and-beam system and revealing the shape of the roof on the interior.